ON-SALE FRIDAY 13TH APRIL AT 10AM. Sampson will also be performing at Red Rooster Festival on 1 June sharing a stage with the likes of Eli Paperboy Reed, Gill Landry and Yola Carter, after she was booked to perform following her triumphant performance at the UK Americana Awards showcases in January. She will also perform at The Long Road Festival (Sunday 9 June) featuring alongside artists including Lee Ann Womack. 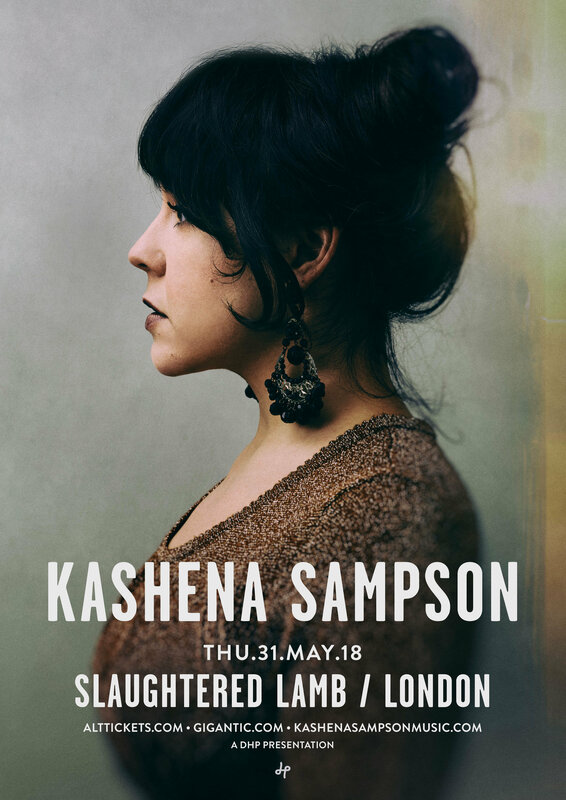 Kashena’s UK fan base continues to build after her debut single ‘A Long Way Back’ was lauded by British media from The 405 to BBC Radio Scotland’s Ricky Ross. A timeless enchantress, Sampson combines a 70s folk-rock aesthetic and sound, which draws on a California country and classic Laurel Canyon, quickly garnered flattering comparisons to giants such as Nicks, Ronstadt and Bonnie Raitt as well as cult heroes such as Barbara Keith, Jim Croce and Bobbie Gentry. Sampson is not afraid to wear her heart on her sleeve and her unique and interesting life shines through her beautifully crafted songwriting and though her super sonic vocal powers that could shake the walls of an opera house. Her ability to embrace her own vulnerability and perseverance is more than apparent on her recent UK single ‘Long Way Back’ – no doubt drawing on life experiences including finding sobriety after a number of troubled years in LA, and her years balancing a demanding cruise ship singing career with dreams of becoming a professional singer-songwriter. Like many before her, the modern starlet put everything in her rear view mirror in 2015, when on a whim, she found herself driving to Nashville with no solid plan other than wanting to make a record in Nashville. Initially she struggled, and found working multiple side jobs including a local greasy spoon to make ends meet. Finally her dreams came true when she saved enough money from bartending to cut her debut record, ‘Wild Heart’ at The Bomb Shelter in East Nashville with top Nashville based players including Jon Estes co-producing as well as playing bass, Jeremy Fetzer on guitar, and Jon Radford on drums. Despite its self-release, the record was a cult hit last year in the USA and was heaped with praise from esteemed media including Rolling Stone, who compared her to her hero, Stevie Nicks.